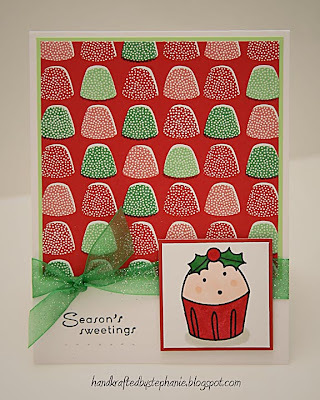 Verve Stamps is having their holiday release tomorrow (Sunday) night -- I can't wait! I've loved all of the sneak peeks. In the meantime, Julee posted these 5 sketches and is challenging us to use them on our creations. Scroll down to see all of my cards. Cardstock: CTMH, PTI; Patterned paper: Martha Stewart; Stamps: Stamp a Sweet Impression; Ink: Memento Tuxedo Black; Copic markers; Other: paper piercer; ribbon (reasonableribbon.com), foam tape. 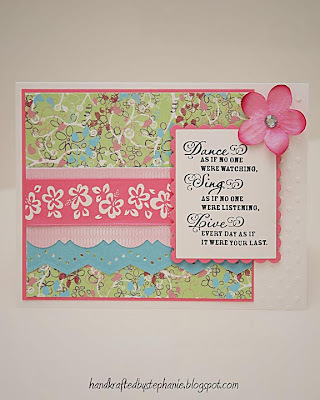 Cardstock, Vellum: CTMH; Patterned paper: DCWV Glitter stack; Stamps: Verve; Ink: Palette Noir; SU! slot and ticket punches; Other: rhinestones, ribbon (reasonableribbon.com), foam tape. Cardstock: CTMH; Patterned paper: Basic Grey Euphoria; Stamps: Verve; Ink: Memento Tuxedo Black; Cuttlebug embossing folder; Nestabilities; Martha Stewart edge punches; Other: flower, rhinestone, ribbon (reasonableribbon.com), foam tape. 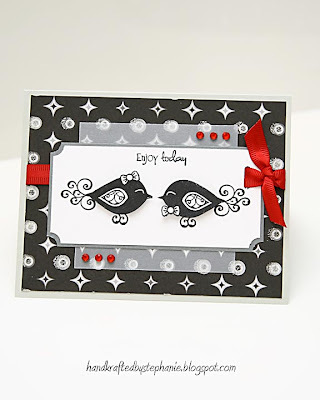 Cardstock, Patterned paper: CTMH; Stamps: Verve; Ink: CTMH, Memento Tuxedo Black; Cuttlebug embossing folder; Other: flower, rhinestone brad, ribbon, thread, foam tape. 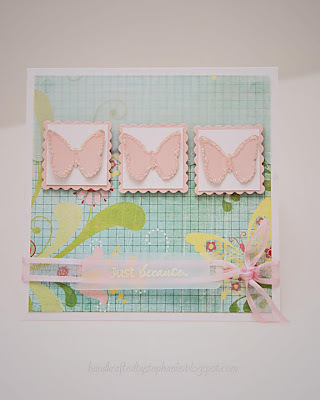 Cardstock, Vellum: CTMH; Patterned paper: Basic Grey Urban Prarie; Stamps: Verve (sentiment); Ink: Brilliance Platinum Planet , Galaxy Gold; Spellbinders Nestabilities, ribbon tags; Martha Stewart butterfly punch; Other: Star Dust stickles, ribbon, foam tape.